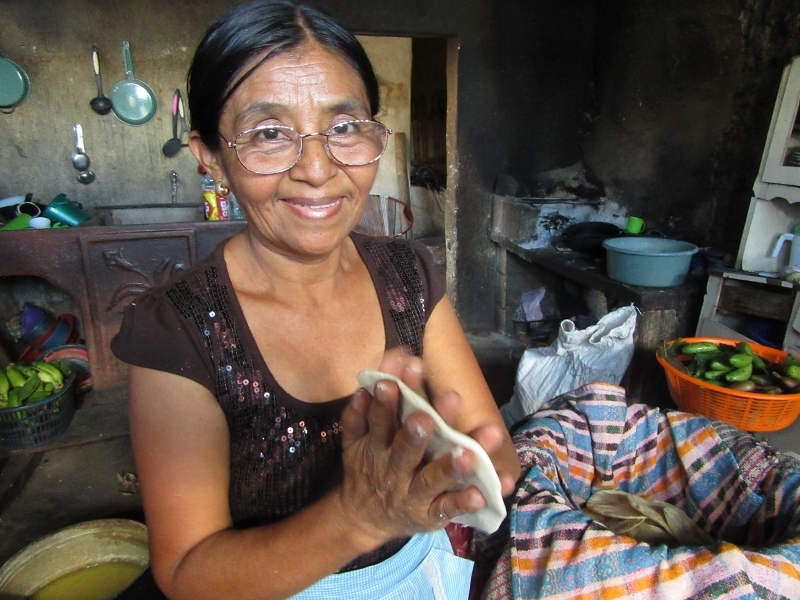 Catalina spends her days worrying about how to feed her seven children and two grandchildren. Her husband, Virgilio, farms beans and corn to support the family, but over the last three years, they have faced a dire situation. A persistent drought has left them with almost no crop, leaving them with little to feed themselves or food to sell to pay for other necessities. 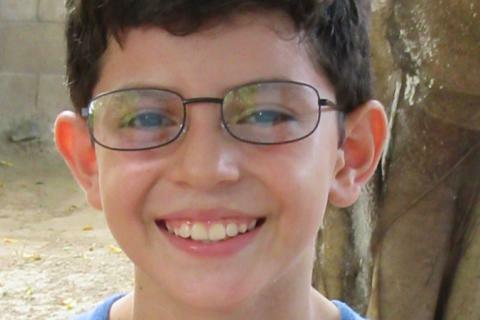 In addition, Catalina and Virgilio both have problems with their eyesight. 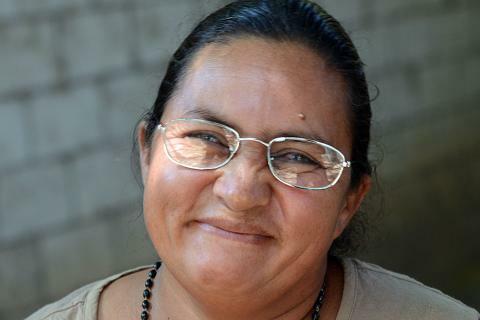 Catalina, who makes her own clothes and clothes for her children, can no longer see the needle when she sews. She says, “I only see stars when I sit down at my machine.” Virgilio has a cataract in his right eye and has trouble reading. ‍Catalina, Virgilio and their youngest son wait in line to have their vision checked by IRT volunteers in San Luis Jilotepeque, Guatemala. Catalina and Virgilio live in San Luis Jilotepeque, a small mountain town located in Guatemala’s southern “poverty belt”. Most of Catalina and Virgilio’s neighbors are subsistence farmers, just like them , and depend on their crops of corn and beans to survive. 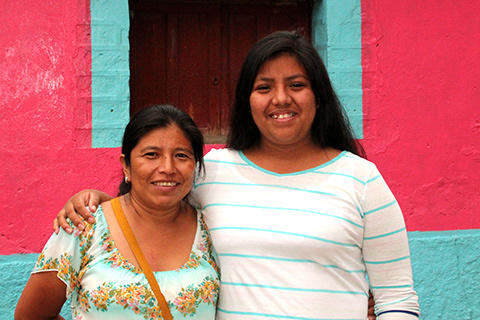 When asked about her dreams for her future and for her children, she says thinking about her future is too overwhelming. The future is an abstract concept she doesn’t have the luxury to contemplate. She must concentrate on today, and providing the next meal for her family. Guatemala is one of the poorest countries in the world and suffers from a level of inequality and chronic poverty that is extreme even in Latin America. 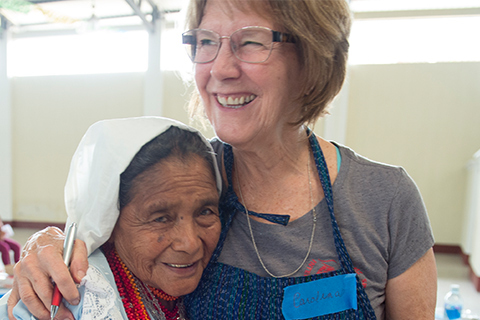 More than half of Guatemalans live below the poverty line meaning families struggle to provide basic needs for their children and have little or no access to critical health and social services. 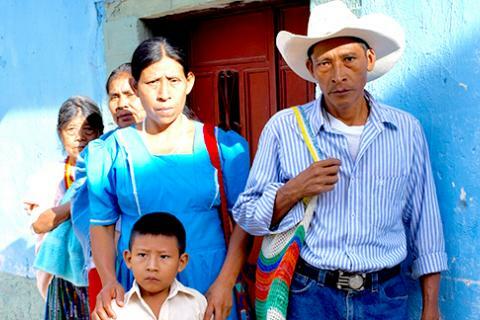 Poverty is deeply entrenched in the rural communities like San Luis Jilotepeque where the majority of the population is of indigenous origin. These populations have traditionally been excluded from the social, economic, and political mainstream, partly due to the rugged terrain that isolates rural communities from the rest of the country. 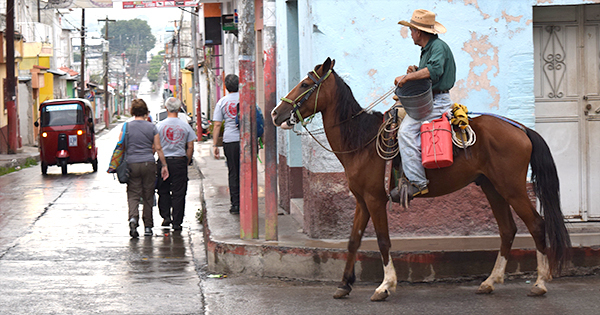 ‍IRT volunteers on their way to work in San Luis Jilotepeque. Our team came to San Luis to provide much-needed eye care, because corrected vision is essential to their survival and their future. 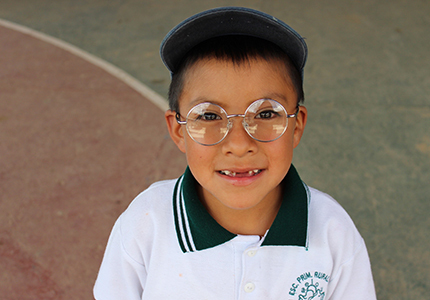 With corrected vision children can succeed in school and workers can maintain livelihoods. Catalina and Virgilio showed up to our eyeglass program in San Luis with their youngest son after taking a two hour bus ride and paying $5 for the fare (a hefty fee). 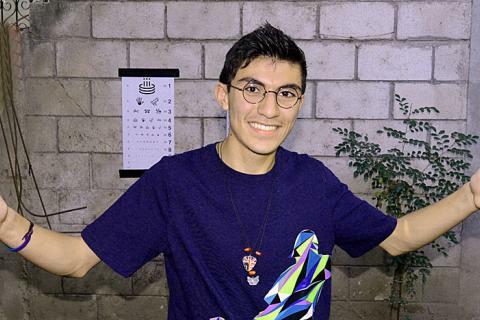 They were both fitted with glasses and sunglasses and were both surprised how clear the world now looked! They were so moved that people from so far away have come to help them. They left the clinic that day with joy and relief.